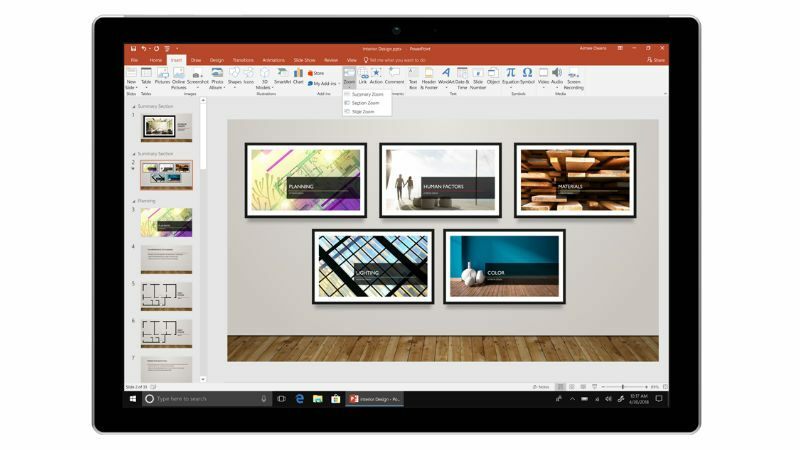 Microsoft has rolled out a preview of Office 2019 to commercial customers, with features that are usually seen in the company’s Office 365 subscription. Microsoft is making test versions of several Office apps available for x86-based Windows systems in the Office 2019 preview programme. Office 2019, which Microsoft calls its ‘perpetual’ Office release, will be released in the second half of 2018 and it will include client apps such as Word, Excel, PowerPoint, Outlook, OneNote, Publisher, Access, Project, and Visio, as well as server apps like Exchange, SharePoint, Project Server, and Skype for Business Server. The Office 2019 is the successor to Office 2016. The company is targetting the Windows version of Office 2019 towards enterprises that are not running Office 365. In a support page, Microsoft had detailed how to participate in the Office 2019 Commercial Preview programme. Notably, Office 2019 will only run on Windows 10 and in the case of the server apps, Windows Server 2019, Microsoft explains in a blog post. Also, the Mac Commercial Preview program for Office 2019 also will go live “in the next few months.” Do note that users and companies must be registered with the Microsoft Collaborate portal to join the Preview programme. “Updates include new and improved inking features across the apps, like the roaming pencil case, pressure sensitivity, and tilt effects; more powerful data analysis in Excel, like new formulas, new charts, and Power BI integration; and sophisticated presentation features in PowerPoint, like Morph and Zoom,” explains Microsoft’s Jared Spataro. It is worth noting that these features are already included in Office 365 ProPlus.